NLRG Senior Attorney Brett R. Turner has an article appearing in the Fall 2016 issue of the Family Advocate, published by the ABA Family Law Section. Brett R. Turner, Economic Claims Between Former Spouses Outside the Divorce Case, 39 Family Advocate 26 (Fall 2016). The article focuses upon tort action between former spouses outside of the divorce context. It discusses actions to rescind fraudulent conveyance, actions for common-law fraud, actions for conspiracy and breach of fiduciary duty, and actions for conversion of property awarded to the other spouse. 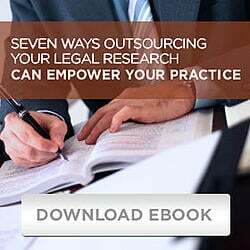 Other articles in the same issue address other aspects of Domestic Torts.